LINDA PERHACS-A TALE OF TWO ALBUMS. It was in 1970, that twenty-seven year old dental hygienist Linda Perhacs released Parallelograms, her debut album. Some people wondered why it had taken Linda so long? After all, she was a musical prodigy. Linda Long was born in Mill Valley, which lies just north of San Francisco’s Golden Gate Bridge in 1943. By the time she was six or seven, Linda was able to write write quite complicated compositions. She was a gifted and prodigious child. However, as is often the case with gifted children, her teachers didn’t maybe realise this. This didn’t stop Linda enrolling in the University of Southern California. At University of Southern California, Linda majored in dental hygiene. This allowed her to work and study. Her course also allowed Linda to explore what was unfolding around her. Remember, this was the start of the counterculture explosion. San Francisco was central to this. Being around this meant Linda was exposed to a many different cultures. It was the same with art and music. For Linda, this was creatively stimulating and would change the course of her life. Having graduated from University of Southern California, Linda began working with periodontist. During this period, Linda immersed herself in the various philosophies that were popular. Essentially, she taught her to mediate and rid herself of negative energy. This helped her and her patients. It may also have helped Linda develop as songwriter. Away from work, Linda and her sculptor husband used to enjoy walking in the city’s public parks. It was during these walks that Linda was first inspired to write songs. This was something Linda hadn’t done since she and her husband moved to Topanga Canyon. Indeed, Linda hadn’t written songs for a while. Throughout her University days, Linda hadn’t been involved in making music. However, she loved music. Topanga Canyon was full of artists and musicians. So, it was the perfect place for an aspiring singer-songwriter. With an environment that inspired her, and the sense of hope that was prevalent during the second half of the sixties, this marked the cultural blossoming of Linda Perhacs. What also inspired Linda was her travels. She spent time travelling up the Big Sur coastline, right through Mendocino, the Pacific Northwest and to Alaska. This was her road rip. So was a trip to Chimacum, on the Olympic Peninsula. These journeys were what inspired Linda to write songs. Linda stresses her journeys inspired her. Drugs played no part in stimulating her creativity. Her songs come from her experiences in life. This includes the colours, patterns and shapes that she’s seen since she was a child. Again, they’re not the result of recreational drugs. No. They’re a phenomenon that many people experience. These colours, patters and shapes inspired Linda, who soon, would be one step nearer releasing her first album. Linda was, by now, working in the office of Beverley Hills’ periodontist. That’s where Linda met film soundtrack composer Leonard Rosenman and his wife Kay. Linda would ask them about their forthcoming projects. Then one day Leonard said to Linda “I can’t believe that clinical work is all you do?” So, Linda told them about her music and played a tape of one of her songs. These were songs she’d recorded during her travels. Leonard took the songs home to listen to them. The next day, Linda was offered a record contract. Leonard who’d been a composer all his life, had never been able to achieve this. Linda had. He explained that Parallelograms was different from the other tracks. Each of the component parts were interactive to the composer as three-dimensional sound. It’s akin to sculpting with ice, where the result is essentially a type of light and dance. For Linda, this was the way she’d always written. However, now Linda was going to take this one step further and record what became Parallelograms. Parallelograms featured eleven tracks. Linda wrote ten of them. The exception was Hey, Who Really Cares? which Linda cowrote with Oliver Nelson wrote. For the recording of Parallelograms producer Leonard Rosenman brought in an all-star cast of musicians. When recording of Parallelograms began, Leonard Rosenman and Linda were aiming to sculpt a series of soundscapes full of textures, colours and shapes. The music Linda hoped, would be “softer and ethereal.” Accompanying her were some legendary musicians. This included Shelley Mann and Milt Jackson on percussion. The rhythm section included Reinie Press on electric bass and Fender guitar and Steve Cohn on lead and 12-string guitar. John Neufield played flute and saxophone, Leonard Rosenman electronic effects and Tommy harmonica. Brian Ingoldsby was tasked with using an electrified shower hose for horn effects. Parallelograms was no ordinary album. Instead, it proved to be a truly groundbreaking album. Before its release in 1970, critics received an advance copy of Parallelograms. The resultant reviews realised the importance of Linda Perhacs’ debut. Here was a truly talented singer, songwriter and musician. She had discovered her musical soul-mate in producer Leonard Rosenman. He was an ambitious, innovator who wanted to push musical boundaries to their limits on album that Leonard Rosenman described as “visual music composition.” Intrigued, critics investigated Parallelograms. They discovered a beautiful, understated and enchanting album. From the opening bars of Chimacum Rain, right through to the closing notes of Delicious, Linda Perhacs breathed life, meaning, beauty and emotion into Parallelograms. It was an absolutely captivating listen; and an album where the listener was spellbound. That’s not surprising, as Parallelograms featured hopeful, captivating, ethereal and dreamy music. Parallelograms was also an ambitious and innovative album of genre-melting music. Parallelograms was a flawless fusion of Americana, country, folk, pop, psychedelia and rock. There’s even a twist of ambient, drone pop, experimental and jazz. It was potent and heady brew; and one that should’ve launched Linda Perhacs’ career. Meanwhile, music industry insiders and the those that had bought Parallelograms awaited Linda Perhacs’ sophomore album. A year passed, and there was no sign of the followup to Parallelograms. Linda was still working as a dental nurse, and had settled back into her life pre-Parallelograms. Two and three years passed, and still, there was no sign of another album from Linda. Three years became five, and five became ten. Linda had settled back into her life pre-Parallelograms. By then, fans of Linda Perhacs had all but given up hope that she would release another album. Nothing was heard of Parallelograms until the nineties. By then, Parallelograms had become a cult classic which a new generation of record buyers had discovered. Interest in Parallelograms grew with each year. Somewhat belatedly, did people realise that Parallelograms was a seminal, lost classic and Linda Perhacs should’ve enjoyed a long and successful career. It was only later that Linda Perhacs realised what might have been. It was only later in life that Linda Perhacs admitted that much as she loved music, she didn’t seem to have the drive required to make a career as a musician. She did, however, have the talent. Linda was blessed with an abundance of talent. That had been apparent on Parallelograms, and Linda’s long-awaited comeback album. Having spent her career working as a dental hygienist, Linda decided to make her musical comeback. She’d spent a lifetime observing people and the world. This meant she’d a wealth of material for her not just her sophomore album, but a series of albums. However, first things first, Linda had to get round to releasing the follow to Parallelograms. This would become The Soul Of All Natural Things. For The Soul Of All Natural Things, Linda wrote four tracks and cowrote the other six tracks. She penned The Soul Of All Natural Things, Intensity, Prisms of Glass and Song of the Planets. Linda and Chris Price wrote Children. They also cowrote River of God, Freely, Immunity and Song of the Planets with Fernando Perdomo. Fernando and Linda collaborated on Daybreak. These ten tracks became The Soul Of All Natural Things, which was recorded between September 2012 and April 2013. Recording of The Soul Of All Natural Things took place at Reseda Ranch Studios, Reseda in California. The sessions took place between September 2012 and April 2013. Linda core band included Chris Price on backing vocals, guitars, bass, keyboards, percussion, programming and effects. Fernando Perdomo contributed bass, guitars, keyboards and percussion. Julia Holter and Ramona Gonzales added vocals and keyboards. Other artists featured on one or some of the tracks on The Soul Of All Natural Things. It was produced byChris Price, Fernando Perdomo and Linda. Once The Soul Of All Natural Things was completed, Linda’s long-awaited sophomore album was released in March 2014. After a forty-four year absence, Linda Perhacs was back. 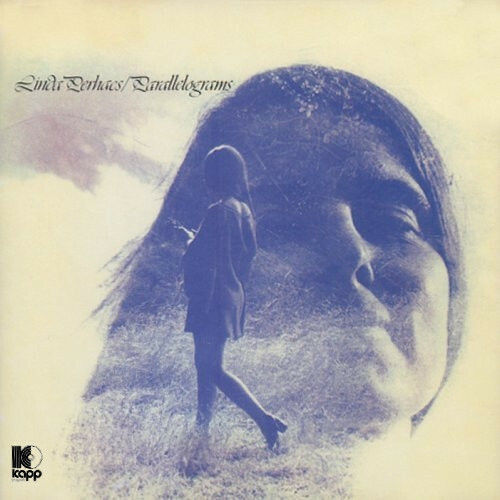 By then, a new generation of critics were already familiar with the story of Linda Perhacs ‘ debut album Parallelograms. These critics penned critically acclaimed reviews, and hailed Linda Perhacs the comeback Queen. Although forty-four years have passed since Linda Perhacs released her debut album Parallelograms, she’s picked up where she left off on The Soul of All Natural Things. Accompanied by some of the best young musicians Los Angeles has to offer, they’ve played their part in a flawless fusion of classic rock, folk, pop and psychedelia. There’s even diversions via ambient, experimental, jazz and drone pop during what’s another captivating and innovative album. Just like on Parallelograms, Linda Perhacs proves to be a versatile vocalist. Her vocal veers between tender and breathy to elegiac, ethereal and emotive. Sometimes, there’s a fragility and sense of confusion, frustration and melancholia in Linda’s voice. Other times, her vocal becomes impassioned, hopeful and hurt-filled. The on Immunity, Linda’s vocal is louder, stronger and full of sincerity. Just like on other tracks this allows her to breath meaning into the lyrics. Meanwhile, Linda’s accompanied by a choir of lysergic angels who add cascading harmonies, while crystalline guitars and lush strings join with the rest of Linda’s band. They play their part in the sound and success of The Soul Of All Natural Things. The music on The Soul Of All Natural Things veers from bewitching to beautiful, to cinematic and cerebral. Other times, the music is powerful and spacious, but has an intensity. However, for much of The Soul Of All Natural Things the music is dreamy, ethereal and lysergic. That’s not unlike the album that started this tale of two albums, Parallelograms. Both albums albums feature a truly prodigious singer, songwriter and musician, Linda Perhacs. She could and should’ve enjoyed a long and successful career. Alas, fate conspired against Linda Perhacs, when her debut album Parallelograms wasn’t promoted didn’t received sufficient promotion. As a result, Parallelograms failed commercially and Linda returned to her work as a dental nurse. The dream it seemed was over. It was later in her career that Linda Perhacs reflected that maybe, she hadn’t been the most driven musician. That was a great shame, as Linda Perhacs was a hugely talented singer-songwriter. That’s apparent on Parallelograms and the long-awaited and much-anticipated followup The Soul Of All Natural Things. It was released forty-four years after Parallelograms, in 2014. By then, a lot of water had passed under the bridge since 1970 and the release of Parallelograms, but Linda hadn’t lost her mojo. Far from it. Just like Parallelograms, The Soul of All Natural Things was an album of flawless, timeless music. 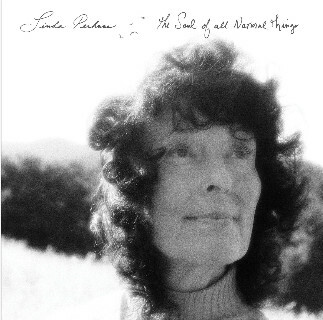 The Soul Of All Natural Things was a reminder, if any was needed that Linda Perhacs had the talent to become one of the leading lights of the Laurel Canyon scene. Especially if Parallelograms had been released on a major label. Thing Linda Perhacs’ career might have been very different. However, Linda Perhacs seems to be content with her life. It’s a case of no regrets. Linda Perhacs may only have released two albums, but Parallelograms and The Soul Of All Natural Things are both flawless, cult classics. They showcase one of music’s best kept musical secrets, Linda Perhacs. She could’ve, and should’ve, enjoyed a long and successful career. Instead, Linda Perhacs’ career is a tale of two albums, Parallelograms and The Soul Of All Natural Thing. They’re both flawless cult classics, and are a reminder that in Linda Perhacs’ tale of two albums, class is permanent. ← JIMI HENDRIX THE MAN WHO CHANGED MUSIC.